My early travels in Japan, Hawaii and elsewhere awakened my love of beautiful scenes and color. Nature in all its forms fills me up and encourages me to paint. I work almost exclusively in soft pastel or graphite and strive for work that is appealing to the viewer and is full of pure, lively color. Favorite subjects include people, pets, still life, florals, and landscapes. I paint en plein air and in the studio, using reference photographs I’ve taken of scenes or of portrait subjects, or live set-ups for still life. I build up a painting using many layers of color to achieve the form, color and amount of detail desired. This part is the most fun—solving problems of space and color to finish a pleasing painting. 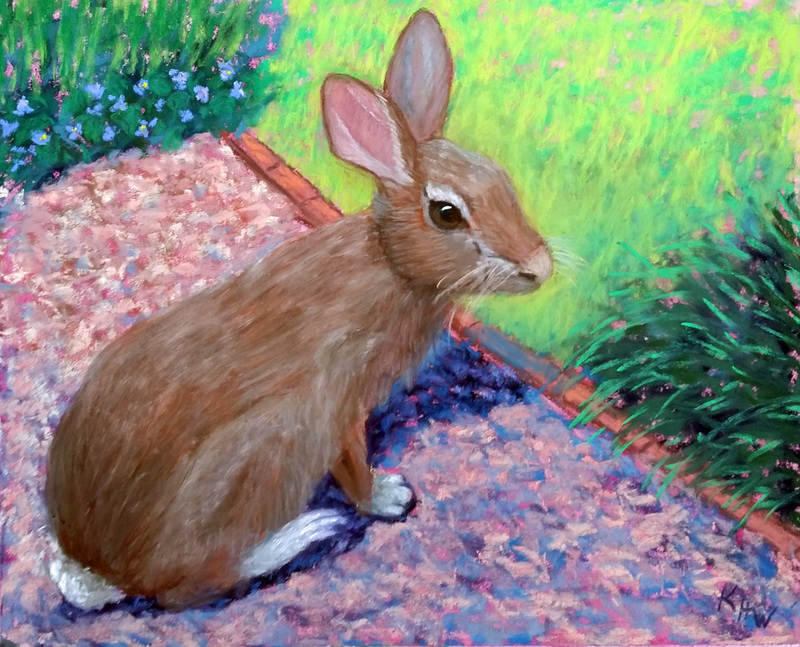 Peter C. - "This cottontail visited my back yard for weeks last summer." 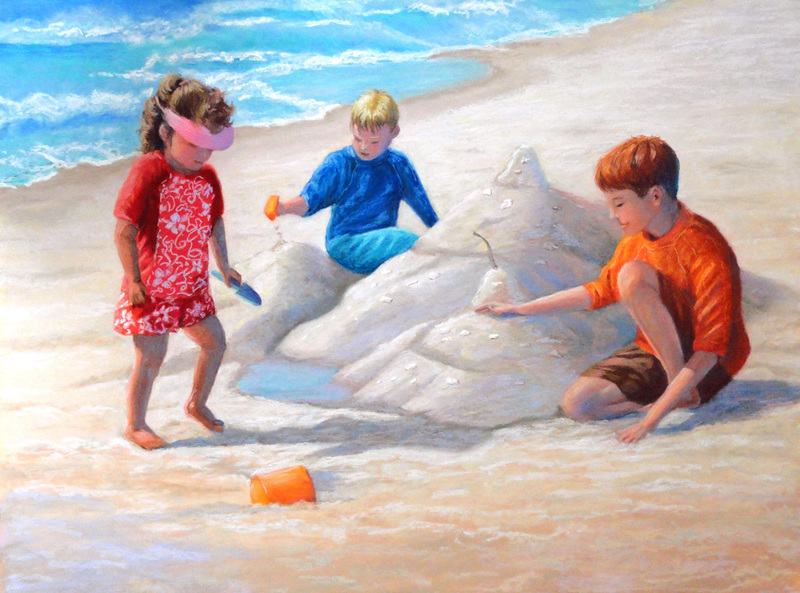 Sand Castles - "Children at the beach can be so intense as they dig in the sand."